Art, mysticism and psychedelics are deeply interwoven forces—here’s six visionary artists and writers that have combined all three. Here’s six visionary artists and writers who have tapped altered states of consciousness, whether through mysticism or chemical methods—which has directly contributed to the profundity and impact of their work. William Butler Yeats was a noble laureate, Irish nationalist and public figure—and by all accounts one of the finest writers of his generation. He was also a Hermetic magician. 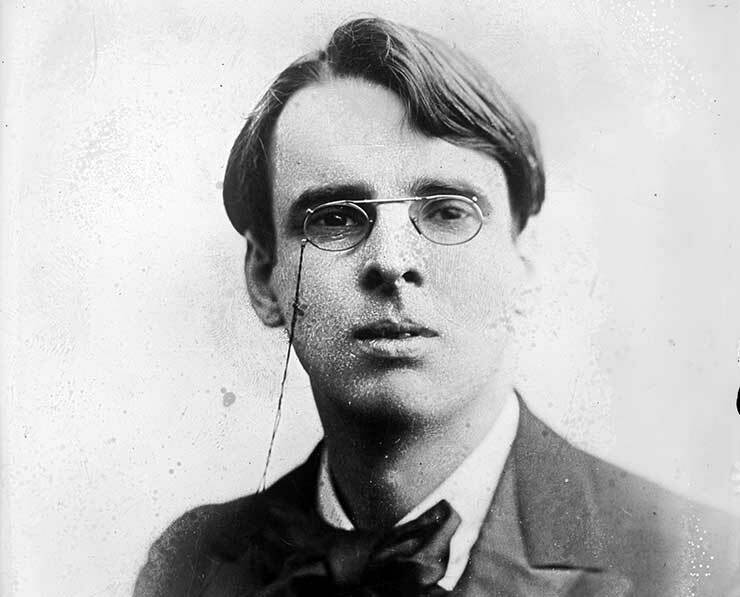 Yeats’ pursuit of esoteric and mystical studies was as devout as his pursuit of literature. 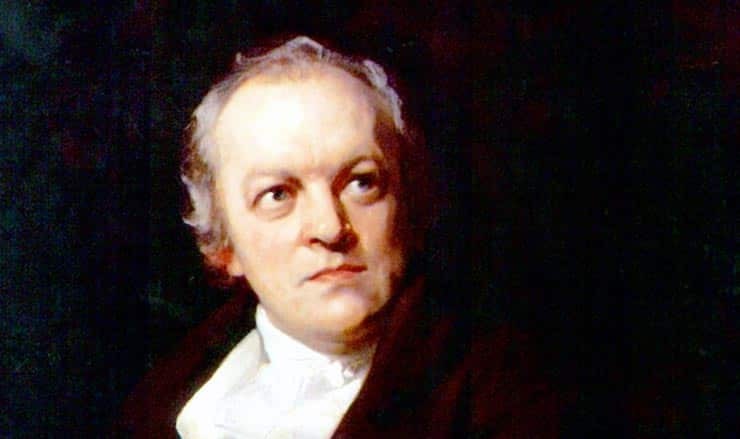 William Blake was one of those visionary artists who, like so many others, is far less known than those he has influenced. He’s probably one of the least read poets of the English Romantic movement, and his paintings do not have a detailed history of commentary and appreciation—but his art, ideas and visions have influenced countless visionary artists, from Allen Ginsberg to Alan Moore to Nick Drake. 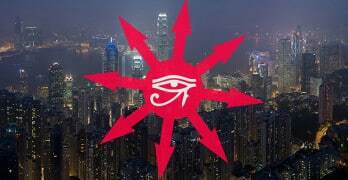 And when I say visions, I don’t just mean in the sense that he had forward looking ideas. 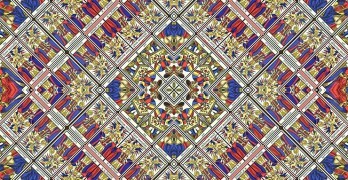 I mean literal, ecstatic, transcendent visions of a higher spiritual reality. Blake was a committed Christian his entire life, and saw visions of God, angels and spirits from the age of four. His Christianity, however, was not the dogmatic, orthodox faith of the time. It was visionary, mystical and free. He wrote in his poem, “The Garden of Love” of “men in black gowns/walking their rounds/and binding with briars/my joys and desires.” He saw ecstasy, joy and rapture as natural elements of the human connection with God, and thought the stifling, institutional church was preventing this natural contact with the divine. Prophetic vision was a regular feature of both his powerful poetry and his symbolically resonant painting. Blake was deeply interested in the Gnostics, the early Christian mystical sect, and much of his work is influenced by Gnostic ideas that have continued to influence generations of visionary artists, esotericists, writers and thinkers. 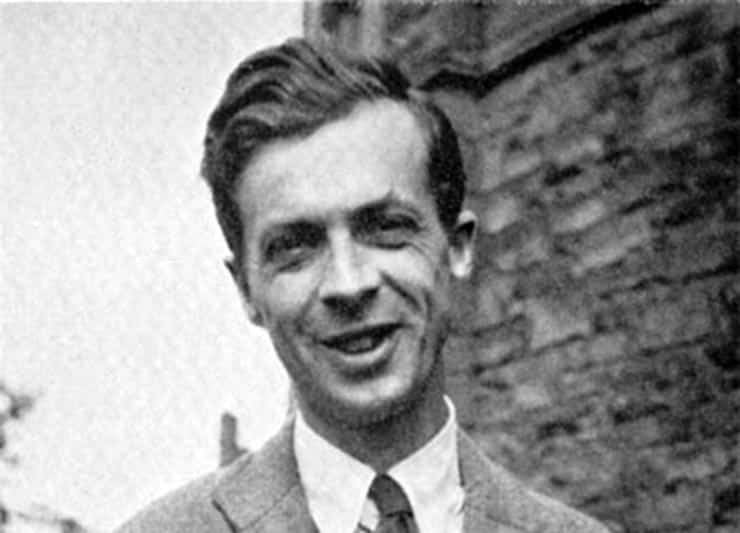 Aldous Huxley is one of the most well known intellectuals and writers of the past century. His dystopian novel Brave New World, so often mentioned in the same breath as that other dystopian heavyweight—Orwell’s 1984—continues to influence social critics with its sharp, clever and increasingly relevant portrayal of a society where the masses are manipulated by mass-produced entertainment and chemicals. Less well known, however, are his other books, including The Doors of Perception and Island, which both explore the influence that psychedelics and transcendent states can have on consciousness and on society more broadly. The Doors of Perception is a must-read for anyone interested in consciousness alteration. Huxley’s little book adeptly chronicles his first experience with mescaline, the psychedelic drug produced by the San Pedro cactus, as well as offering a concise and insightful history of some Eastern and Western mystical attitudes, religious practices and traditions. Island is sort of the utopian counterpart to Brave New World’s dystopia. 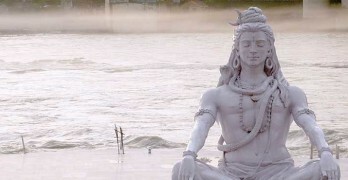 It concerns a strange island where all the people live harmonious lives connected by the oneness of consciousness created by a natural psychedelic referred to as Moksha Medicine. Huxley clearly saw altered states as methods of intellectual, artistic and social discovery, and was so dedicated to this goal of transcendence that he’s reported to have had his wife dose him with LSD as he died. 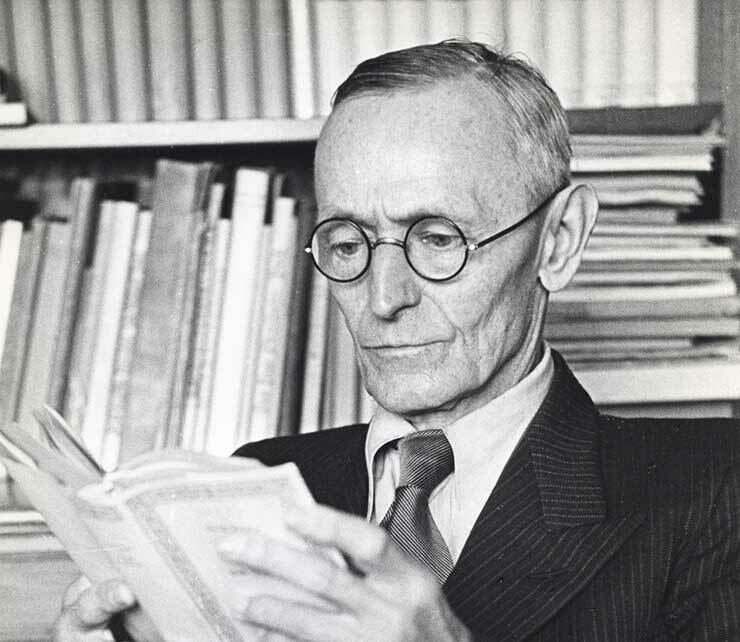 Few writers can be said to have brought Eastern ideas and traditions to the Western World more effectively than Herman Hesse. Hesse was an early 20th century German writer whose novel Siddhartha, which tells the story of a man named after the Buddha who goes on a quest for enlightenment. The book proved popular in Germany at the time, but it found its real wings while inspiring much of the 1960s counterculture, including figures such as Ken Kesey, and introducing a generation of Americans to Eastern mysticism and the idea of a journey to transcendence—with Hesse’s Steppenwolf providing similar inspiration. But Eastern religious tradition was not the only kind of mystical, transcendental knowledge that influenced Hesse. The works of Swiss psychoanalyst Carl Jung were also important to Hesse. 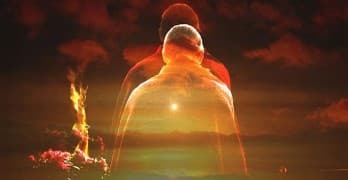 Jung’s depth psychology includes many profoundly mystical elements, and Jung himself was fascinated by the mystic and the occult activities of man, seeing them as surfacings of the power of the unconscious mind. Jung’s influence can be seen in much of Hesse’s early work, especially his novel Demian, which includes Jungian themes such as psychological archetypes and the unconscious mind. Reading Allen Ginsberg’s seminal poem Howl was a transformative for me, as it is for so many other young people on their journey toward greater spiritual awareness and understanding of consciousness. Ginsberg, arch-poet of the legendary American Beat movement, is probably once of the most influential psychedelic and visionary artists of all time. His influences were wide and varied, and he was fascinated by religious tradition and spiritual and esoteric movements that had reached for enlightenment. While much of his work was touched with the “peyote solidities of halls” that represented the transcendent experience of psychedelics, all of his psychedelic experiences were filtered through a deep and abiding love of other visionary artists, especially Blake and Yeats, and the esoteric religious traditions he found himself drawn to. The Jewish Ginsberg was fascinated by the Jewish mystical tradition of Kabbalah, and would regularly insert references to it in his writing. He studied this tradition extensively, and often synthesized it with Eastern mystical beliefs, including elements of Buddhism and Hinduism. Indeed, it can argued that it was Allen’s fascination with esotericism, the occult and religion that gave the 1960s counterculture its spiritual dimension. 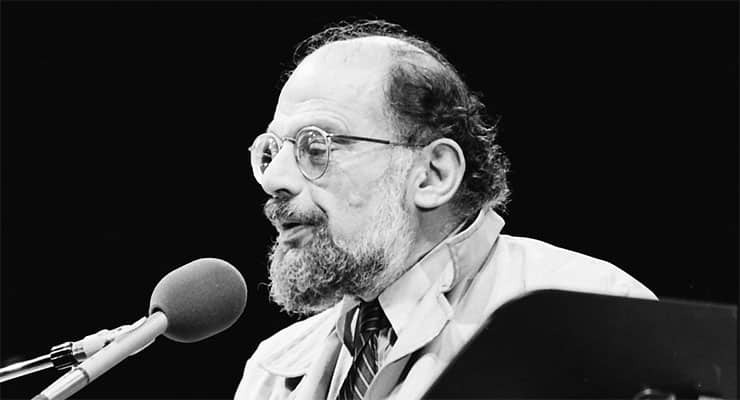 Ginsberg, through his engagement with visionary artists and mystical traditions, managed to define the spirituality of a whole youth culture, with many of the New Age ideas that emerged from the time bearing Ginsberg’s distinctive mystical and syncretic stamp. 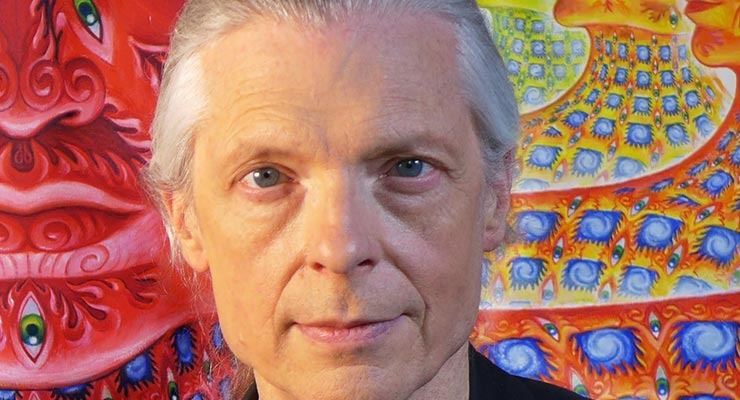 To transport things to more modern times, one of the most well-known artists currently exploring mysticism and altered states of consciousness is Alex Grey. Grey is a self-described “visionary painter” who is both renowned for his paintings, which are inspired by psychedelic visions, and also a leading figure in organizations such as the Centre for Cognitive Liberty and Ethics and the Multidisciplinary Association for Psychedelic Studies (MAPS). 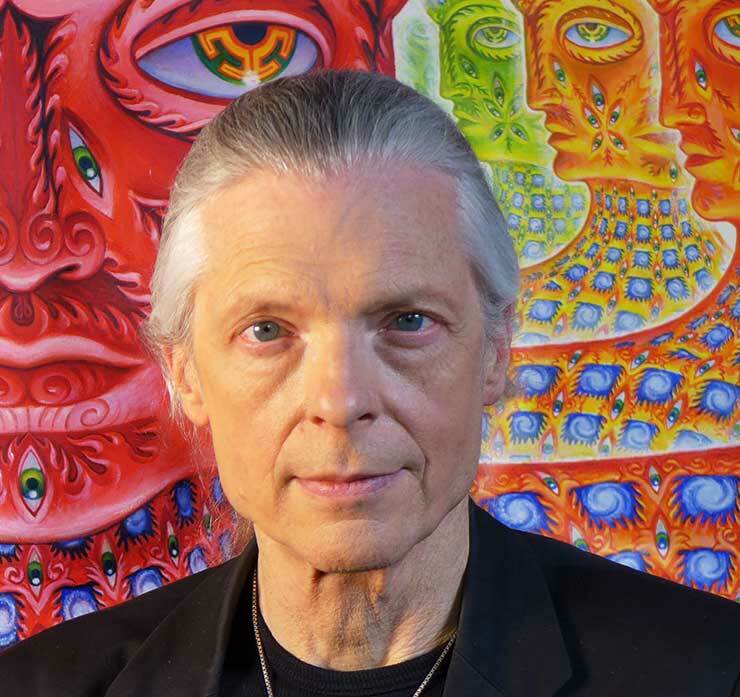 Alex Grey tirelessly advocates for a greater degree of understanding and less prejudice surrounding the free exploration of personal consciousness through psychedelics and entheogens. Grey attempts to express the profundity and beauty of these transcendent states through his art, which is colorful, bold and visionary, utilizing sacred symbols and gorgeous fractals to recreate and promote the experience of altered states. The source of the above artists and writers’ inspiration wasn’t genius—or, rather, it might not have just been genius. It was the use of very specific techniques of getting visions, and then the persistence and elbow grease needed to apply them consistently to create art. We can teach you the exact same techniques these artists used. Of course, it’ll be up to you persist in using them. But they can be taught. Check out our online course Magick and Art: Sacred Techniques, Sacred Quest for an incredible introduction to using occult and magical techniques to access incredible inspiration. It doesn’t matter what kind of artist or writer you are. And if you’re an aspiring artist or writer, even better—you’ll get an incredible education in getting started as a visionary artist, even from scratch! Check out the course now! David O'Donoghue is a freelance Irish journalist with a keen interest in radical politics and altered states of consciousness.